New 11.6 inch MacBook Air is Releasing this Fall ? An Apple netbook? Say it isn’t so! While netbooks tend to fall in the 8-10” screen-size category, it would be a little foolish not to consider 11-inchers as netbooks. I, personally, believe that any laptop of screen size < 13” and not having a CD-ROM is to be considered as a netbook. Got that? Now let’s move on to the topic at hand here. DigiTimes is claiming that Apple manufacturing partner Quanta will be shipping 400,000-500,000 MacBooks before the end of this year (possibly before holiday season). This, of course, suggests that the announcement of the purported 11.6” MacBook (Air or otherwise) will be announced in the very near future. 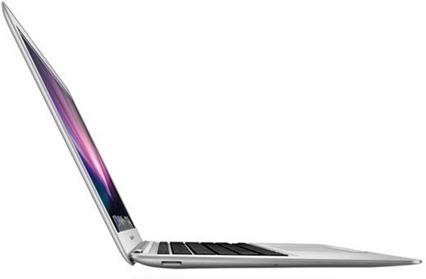 Quanta has reportedly landed orders for 11.6-inch MacBooks from Apple. Shipments of 11.6-inch MacBooks are expected to top 400,000-500,000 units in 2010.